Three classes of British looting: which is the most culpable? Professor Prem Sikka, Professor of Accounting at University of Sheffield and Emeritus Professor of Accounting at University of Essex, draws attention to the case of the UK telecoms giant Lycamobile, the biggest donor to the Conservative Party, which has accepted £2.2m in donations since 2011. Her Majesty’s Revenue and Customs (HMRC) has refused to assist the French authorities and raid Lycamobile’s UK premises in order to investigate suspected money laundering and tax fraud. Following an initial denial (left, Financial Times), Economia confirmed that in an official response to the French government dated 30 March 2017, a HMRC official noted that Lycamobile is “a large multinational company” with “vast assets at their disposal” and would be “extremely unlikely to agree to having their premises searched”, said the report. The letter from HMRC to the French government added, “It is of note that they are the biggest corporate donor to the Conservative party led by Prime Minister Theresa May and donated 1.25m Euros to the Prince Charles Trust in 2012”. This is an ongoing saga: in 2016 Economia noted: “The Tories have come under fire for continuing to accept donations of more than £870,000 from Lycamobile since December, while it was being investigated for tax fraud and money laundering”. In 2016 In May it emerged that KPMG’s audit of Lycamobile was limited due to the complex nature of the company’s accounts. Later, KPMG resigned saying it was unable to obtain “all the information and explanations from the company that we consider necessary for the purpose of our audit”. HMRC: “has become a state within a state”. Prem Sikka (right) continues, “The House of Commons Treasury Committee is demanding answers to the Lycamobile episode – but HMRC is unlikely to prove amenable”. In recent years, the Public Accounts Committee has conducted hearings into tax avoidance by giant global corporations such as Microsoft, Amazon, Google, Starbucks, Shire and others. The hearings have not been followed by HMRC test cases. Despite the above and numerous court judgments declaring the tax avoidance schemes marketed by accountancy firms to be unlawful, not a single firm has been investigated, fined or prosecuted. There are real concerns that HMRC is too sympathetic to large companies and wealthy elites. A major reason for that is the ‘revolving door’, the colonisation of HMRC by big business and its discourses: its current board members include non-executive directors connected with British Airways, Mondi, Anglo American, Aviva, PricewaterhouseCoopers and Rolls Royce. After a stint at HMRC many of the non-execs return to big business. Corporate sympathies are therefore not counterbalanced by the presence of ordinary taxpayers or individuals from SMEs and civil society. Sikka ends: “In such an environment, it is all too easy to turn a Nelsonian eye on corporate abuses and shower concessions on companies and wealthy individuals”. Read more here. Because tax revenue pays for the services used by all except the richest, the education health, transport and social services, increasingly impoverished by funding cuts imposed by the last two British governments. The Shadow Chancellor has twice called for more rigorous examination and tightening of processes at HMRC to ensure that corporations and wealthy individuals are free from political corruption and pay fair rates of taxes. Will the next government elected be for the many, not the few? So writes Peter Hitchens, summarising the unease felt by many in his recent article. He was focussing on the events leading up to the anger felt about the treatment of the ‘Windrush generation’, regarded now ‘by most of us . . . as something pretty close to family’. After tracing the political trend from New Labour measures to Theresa May’s ‘Go Home’ lorries trundling around London’ he describes increasing ‘tough’ measures as a London liberal’s idea of what might please the despised voters. Last year there were reports about the post-Brexit plight of EU nationals who experienced the bureaucratic maladministration and occasional cruelty from which the country’s poorest have suffered for decades. The most recent example, reported in The Financial Times, referred to the rollout of Britain’s “Universal Credit” benefits system, challenged by more than 120 MPs saying that delayed payments are leaving poor households exposed. Recently Professor Prem Sikka tweeted about 21st century Britain: He linked to a BBC report about a separate survey for the Living Wage Foundation which says that a third of working parents on low incomes have regularly gone without meals, because of a lack of money. Around a half of those families have also fallen behind with household bills. It also quoted Citizens Advice findings that as many as 140,000 households are going without power, as they cannot afford to top up their prepayment meters. The survey conducted by Citizens Advice found, “most households that cannot afford to put money in the meter contain either children or someone with a long-term health condition. Some people are left in cold houses, or without hot water”. The Coalition and later Conservative governments’ cuts largely dismantled the Sure Start network, created by Labour to support families in the early years of their children’s development. Unison has been working on this for some time – its 2016 report, A Future at Risk, found that £387m had been cut since the Tories took power. That’s over 600 youth centres and 140,000 places for young people. One of many austerity measures reported here is the cuts to school transport for disabled children. This, and many more examples of ‘cruel, rigid bureaucracy, may be seen on the website Disability United. Sikka summarised: “Poorest families are going without food or power. Wealth is concentrated in relatively few hands and governments shower tax cuts on corporations and wealthy elites. Inequitable distribution of income/wealth is a recipe for social instability”. the secondary school run by his local education authority. or take a swim in the council run pool. Adrian considered the effect of austerity on the role of councils today. Birmingham council has almost halved its staff since 2008, from around 24,000 to 12,500. Last year another £28m was cut from Birmingham’s adult care budget of £230m. 2017/18 – the seventh year of cuts – is predicted to be the toughest year yet with expected reductions of £113m to the council’s overall budget, on top of £650m already cut since 2010. Local government grants and powers have been greatly reduced in several areas, including education and housing. Read more about the following cases here. Druids Heath’s handsome and historic Bells Farm community centre (below), with its food bank and other services, also kept going by local volunteers. The link also leads to news of high-rise tower blocks in the area; dilapidation, damp and fire hazards go unremedied, the splendid concierge system was abandoned and full time neighbourhood office advice centres, closed in 2006, were replaced by a private call service which was expensive, often not answering, with staff unable to supply the information needed. 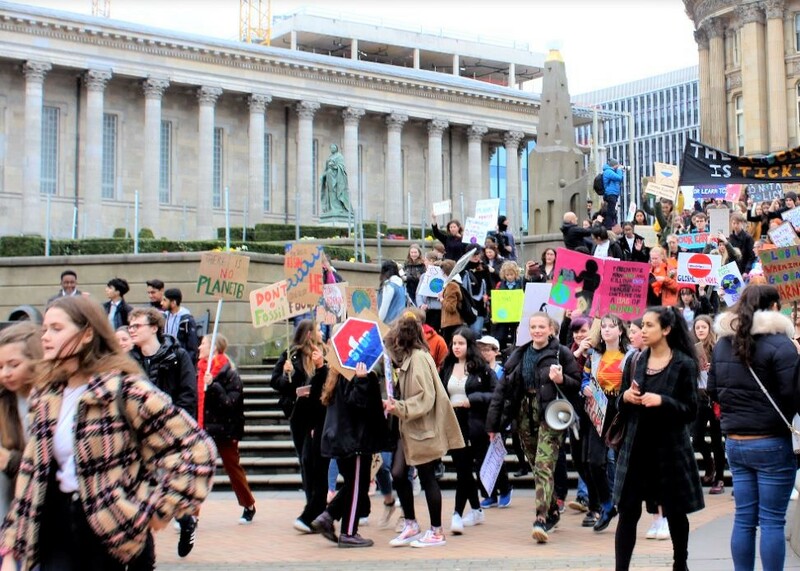 In Birmingham there was a move under John Clancy’s leadership to take back ‘in-house’ the services currently undertaken by profit-making private companies, deciding not to renew one Capita contract and considering the future of refuse collection in the city. This, because the ‘market place’ economy which has developed, privatising refuse collection, road maintenance and ‘back office’ functions in Birmingham, has proved to be more expensive and often less efficient. 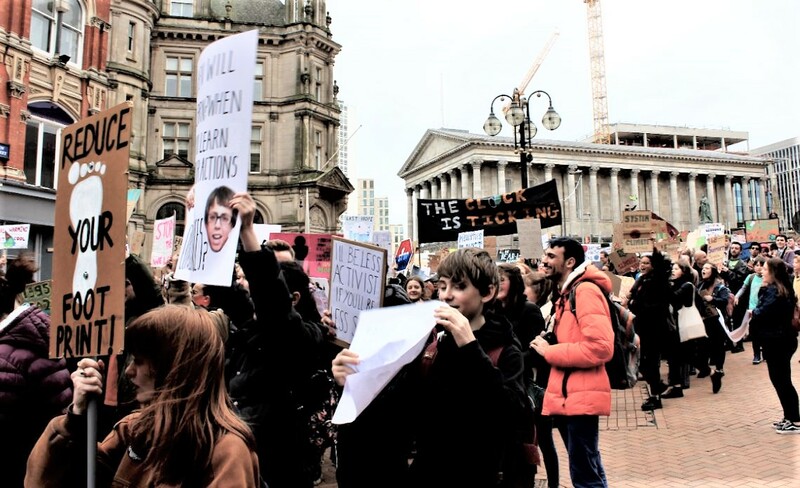 This hope is fading as Richard Hatcher reports on the new regime: Birmingham Council Children’s Services contracted out, Children’s Centres closed. Inside Housing reports the housing minister’s description of sprinkler systems for high rise blocks as “additional rather than essential” and refusing a council’s request for funding promised after the Grenfell Tower tragedy. Mayor of Birmingham in 1873, city MP in 1876, Joseph Chamberlain directed the construction of good housing for the poorest, libraries, municipal swimming pools and schools. Unlike Ms May and colleagues, he was not in favour of a market economy, arguing for tariffs on goods from countries outside the British Empire. He was also an ‘economic interventionist’ (see Lewis Goodall, Newsnight), described as a “gas and water socialist”. He took profit-making private enterprises into public hands, declaring that “profit was irrelevant”. In no way is she following the example of her hero. Ms May’s government continues to implement a series of cuts affecting the lives of the country’s poorest and most disabled with might and main. Ironically the contemporary politician sharing Chamberlain’s principles is the opposition leader, Jeremy Corbyn, whose policies she echoes but does not implement. Today The Times reports that the chancellor is considering slashing the annual tuition fee universities can charge to £7,500, in this autumn’s budget, after young voters swung behind Jeremy Corbyn when he pledged to abolish fees if in government. The Blair Labour government introduced university tuition fees in 1998. Students had to pay up to £1,000 a year, depending on their parents’ income. In 2008 student loans were removed from protective legislation, by Section 8 of the Sale of Student Loans Act and the Conservative-led coalition increased fees to a maximum of £9,000 a year from the 2012/13 academic year. Fees charged by English universities are now capped at £9,250 but can rise with inflation from this year. As the FT’s Miranda Green and Alice Hancock report, since the first graduate contribution the UK has stayed high up the international university rankings, with a ‘lucrative higher education export business’, as imposing new buildings spring up on campuses, student flats proliferate and vice chancellors receive average pay packets of £277,834. Alongside this boom in construction and salaries however, doubts are being raised about the quality of tuition and the content of many degrees now being offered. A comparatively mild one came from Alice Hancock: “In all the discussion over price, there has been little talk of product. I’m happy to make my monthly donation towards my education: it led me to a better job. But I attended a university where I received an average of 15 hours of tuition each week, much of it one-on-one. This is far from commonplace”. To pay for this expansion, interest rates on student loans are now three percentage points above the retail prices index of inflation; from this autumn they will carry 6.1% interest – more, as Estelle Clarke, Advisory board member of the Intergenerational Foundation points out in the FT: the Student Loans Company ‘hidden in the small print’, charges a monthly compound interest rate of 6.1% . . .
She adds: “I believe that if more understood what education costs our graduates, monthly compounding rates would have been confined to the dustbin of immoral exploitation. Were student loans regulated, neither punitive compounding interest rates nor inadequate explanations by the SLC would be tolerated”. Jeremy Corbyn’s £11bn pledge has proved appealing but the FT journalists fear that if he were to act on it in power, a booming, world-class higher education sector would be plunged into financial crisis. If, as the Higher Education Policy Institute projects, 71% of students will never repay loans, who will eventually repay the costs of the campus buildings and student flats? The Telegraph quotes Nick Hillman, director of the institute refers to this as a “very substantial” subsidy from future taxpayers to higher education which is “concealed in the system”. The Institute of Fiscal Studies’ report explains that if graduate earnings are 2 percentage points lower than expected, the long-run government contribution increases by 50%. It calculates that in the long term the government (the taxpayer) will foot the bill for unpaid student loans, which are written off after 30 years: “the expected long-run cost to the taxpayer of HE for the 2017 cohort is £5.9 billion”. As economist Alison Wolf argues in her 2016 report, many disadvantaged young people would be better served by funding one or two-year high-quality technical courses — or better early years education. But the political corporate alliance would see little profit in doing this. Paul Simons adds to many ‘wakeup calls’ – writing about high temperatures, drought and wildfires. On Thursday Spain broke the record for its highest temperature with 47.3C (117.1F) at Montoro, near Cordoba in the south of the country. May and June were also phenomenally hot across Portugal, Italy, the Balkans, Greece and Turkey. Heat and drought have helped to fuel wildfires in Spain and Italy, and wildfires near the seaside resort of Calampiso in Sicily forced the evacuation by boat of about 700 tourists on Wednesday night. In Greece the heatwave led the culture ministry to close archaeological sites around the country, including the Acropolis in Athens. Together with a long-running drought, the heat has ravaged much of southern Spain, leading to a devastated wheat and barley harvest. If the arid conditions continue, there are also fears for the olive, walnut, almond and grape harvests and the wellbeing of livestock. Rainfall has been desperately low this year, but the country has been suffering from a lack of rain for five years. Drought threatens to reduce cereal production in Italy and parts of Spain to its lowest level in at least 20 years, and hit other regional crops. Castile and Leon, the largest cereal growing region in Spain, has been particularly badly affected, with crop losses estimated at around 60 to 70%. While the EU is collectively a major wheat exporter, Spain and Italy both rely on imports from countries including France, Britain and Ukraine. The Guardian adds to the news from Europe: India recorded its hottest ever day in 2016 when the temperature in the city of Phalodi, Rajasthan, hit 51C. Another study led by Prof Elfatih Eltahir, at Massachusetts Institute of Technology in the US, linked the impact of climate change to the suicides of nearly 60,000 Indian farmers. The analysis, published in the journal PNAS, assesses the impact of climate change on the deadly combination of heat and humidity, measured as the “wet bulb temperature” (WBT). Once this reaches 35C, the human body cannot cool itself by sweating and even fit people sitting in the shade will die within six hours. This, apparently, is the appropriate timetable for responding to what a parliamentary committee calls a “public health emergency”. A child born today will be 23 by the time this policy matures – by then the damage to the development of her lungs and brain will have been done”. According to Professor Eltahir’s study, if emissions are reduced roughly in line with the global Paris climate change agreement there would be no 35C WBT heatwaves and the population affected by the 31C WBT events would fall from 75% to 55%. About 15% are exposed today. A National Geographic article says most people agree that to curb global warming a variety of measures need to be taken. On a personal level, driving and flying less, recycling, and conservation reduces a person’s “carbon footprint”—the amount of carbon dioxide a person is responsible for putting into the atmosphere. At present, lorries shifting identical goods in opposite directions pass each other on 2,000-mile journeys. Competing parcel companies ply the same routes, in largely empty vans – a theme explored by MP Caroline Lucas and Colin Hines in 2003 – the Great Trade Swap. It describes airports as deadly too – yet government and opposition alike are ‘apparently hell-bent’ on expanding Heathrow, exploring airport expansion projects elsewhere and seeking post-Brexit trade deals with distant countries. Parliament must listen to its Committee on Climate Change – chairman John Gummer. 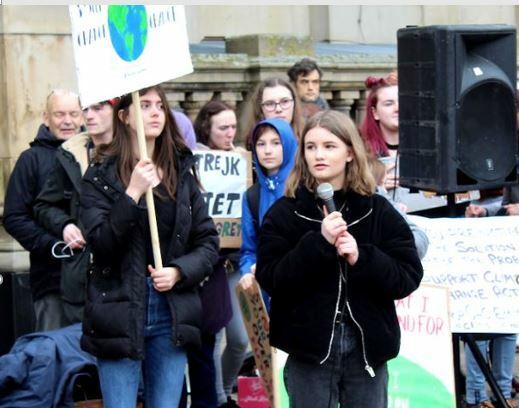 As the East Anglian Times reported in June, its annual progress report calls for “urgent” plans to meet legal targets for carbon cuts by 2032 as greenhouse gases from transport and buildings continue to rise. 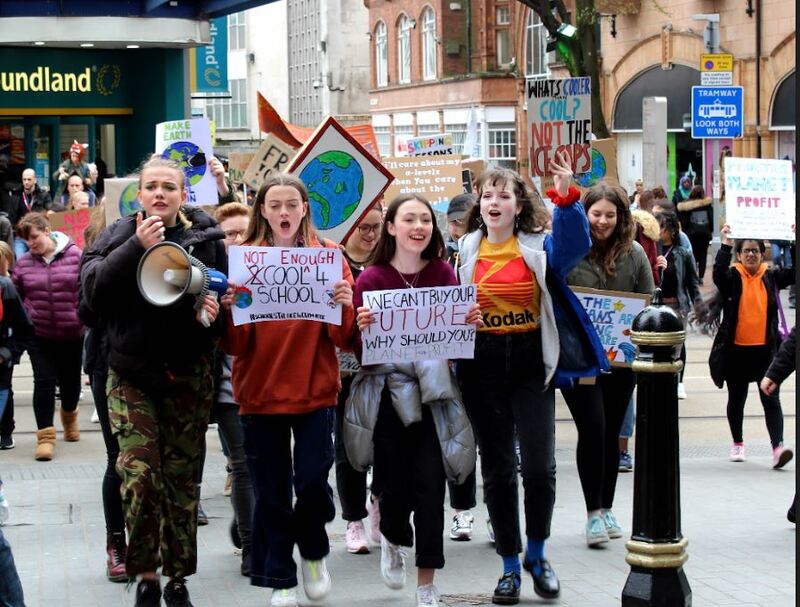 The committee advocates action to bridge the gap between existing policies and what is needed to achieve required emissions reductions by the mid-2020s – boosting electric vehicles and cutting greenhouse gas emissions from the heating of homes to help to meet UK climate targets.